We have been working with Kieron Cockley on the recent refurbishment of the hotel. 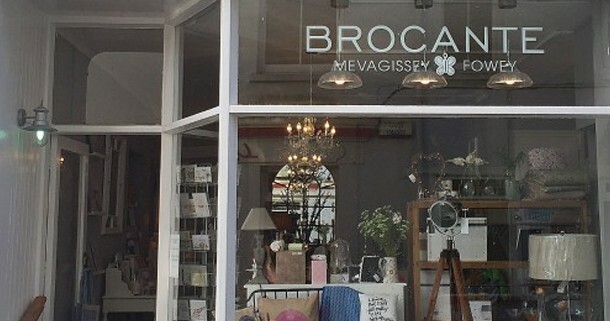 Kieron and his partner own the interiors shop Brocante in Fowey, and they have a second shop in nearby Mevagissey. Kieron takes some time out of his day to chat to us about his approach to refreshing the rooms at The Old Quay House. Please tell us a little bit about your beautiful shop Brocante. In 2006, David and I were living in Manchester, but visiting family in Cornwall regularly. One afternoon, we were in Mevagissey and saw a shop and house for sale. We ended up buying both without even stepping foot inside, and that was nearly 10 years ago now! In 2007, we bought a shop in Fowey, and each year since we started, we’ve expanded a little bit more, but it’s all happened very organically. The project this year is to expand our Fowey shop upstairs. We are lucky to have a lovely team – Gina has been with us since 2007 and Christine since 2008. We also have a bit more help in the busy summer months. In terms of what you sell, do you feel it has evolved to respond to customers? As our two shops have got bigger, we’ve been able to expand our offering. Our core range is an eclectic mix and whilst our style has always been vintage, we do also try to add in more modern pieces here and there. Our range is changing all the time – we buy little and often. When our customers come into the shops, we want them to be surprised. Do you have certain items that fly out of the doors? We have a great range of cards and jewellery, and blankets and our silver range from Culinary Concepts are also very popular. It’s important to have great value items but you can’t compromise on quality. What updates have you made to The Old Quay House? We’ve worked with the hotel since 2014 but in December we made updates to every bedroom apart from the penthouse. The dining room has been redesigned benefiting from new furniture, and we’ve worked really hard to make it more comfortable. 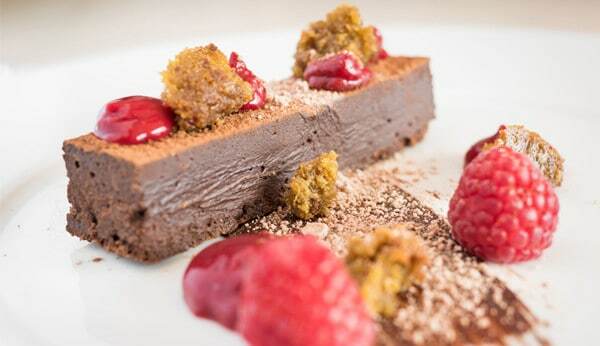 You pick up the vibe in a restaurant very quickly and we wanted to make it a place you are keen to linger over your meal. Has anything in particular inspired your approach to The Old Quay House or was there a tight brief? Hotel manager Martin is very relaxed and easy to work with. One of the major challenges has been getting furniture up the stairs, so we have had to be mindful of this when choosing pieces. We also wanted a nod to where we are in terms of location, without taking a nautical theme. It’s also important to us to have ranges that match. You have to have pieces that go together. Do you have a favourite room at the hotel? Each one has its own personality. Room 11 is probably the room I would most want to stay in as a guest. It’s got a sea view and beautiful oak furniture. We added a soft chair so you can sit and enjoy the view. Room 2 is a different type of room on the street side. It’s got all the elements you would want in a hotel room but also the drama of the ceiling height. If you could have one piece of furniture from the refurb in your own home, what would it be? I would 100% have the little yellow tub chairs – they would be stunning in a really modern house. I also love the fold-out oak dressing table in Room 9 – it’s a stunning piece we found through one of our suppliers. We wanted every room in the hotel to have a dressing table and this one fits the space perfectly. Have you worked with any other local businesses during the refurbishment process? We’ve worked with local tradesmen and Cotton Mills in Truro, who have been great in helping us source all the fabrics for the curtains and the headboards. Martin’s mum actually made all the curtains – she’s a great seamstress! You can follow Brocante on Facebook and Twitter. The shops in Fowey and Mevagissey are open daily all year round, except for Christmas Day.